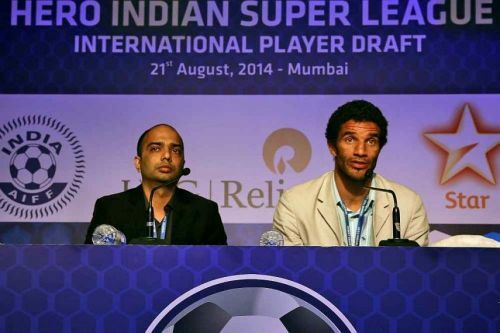 Indian Super League (ISL) side Kerala Blasters confirmed the departure of their Chief Executive Officer Varun Tripuraneni and announced the appointment of Viren D'Silva as the new CEO. Kerala Blasters finished a lowly ninth on the ISL table with just 15 points in 18 games. The club fell out of contention for a spot in the playoffs way back in December. Blasters subsequently fired coach David James, under whom Kerala won just one game and appointed Nelo Vingada as the successor. Under Vingada, Kerala won just one game and as well but their showing improved despite letting go of players like Halicharan Narzary and CK Vineeth. Blasters' announcement came after Kerala Blasters' last ISL game, which ended in a 0-0 draw with 10-man NorthEast United. "We would like to announce that Varun Tripuraneni, CEO of KBFC has decided to pursue his entrepreneurial ambitions in grassroots football. We respect Varun’s wishes and have requested him to continue supporting Kerala Blasters grassroots efforts even in the future, which he has kindly accepted. We would also like to announce the appointment of Viren D’Silva as CEO of KBFC. Viren ably led the club in the first two seasons of ISL and was instrumental in putting together the team for the third season. We would like to thank Varun for his leadership of the club through extremely challenging circumstances and wish him all the best for his future endeavours. We would also like to wish Viren all the best in his new role." At the end of January, Kerala Blasters' parent company IQuest Enterprises appointed former Star Sports India chief Nitin Kukreja as their CEO. Tripuraneni, who has been the CEO since February 2017, was expected to be shown the door by the end of the season. D'Silva worked as the CEO of the Pro Kabbadi League outfit Tamil Thailavas. He was also the CEO of Blasters in 2014 and 2015. Blasters will play the qualifiers of the Hero Super Cup on March 15-16 and hope they can make it to the final round.